This learning community enables flexible, online education for primary care providers and staff, with an emphasis on the unique needs of rural health professionals. Courses and resources are designed to enhance in-demand geriatric skills and allow for training opportunities without the need to travel long distances to receive it. This further serves as the learning hub for participants in the VA Geriatric Scholars Program, a national workforce initiative of the Veterans Health Administration to improve the care of older Veterans. The United States healthcare workforce has insufficient training in geriatrics across the healthcare professions, too few geriatricians, and poor incentives to recruit and retain professionals who have developed competency skills in geriatrics. The VA Geriatric Scholars Program addresses these problems with a longitudinal, multi-modal, blended format curriculum to train VHA clinicians in skills and competencies to meet the needs of aging Veterans and improve quality of VHA healthcare delivery. Evaluation of the Geriatric Scholars Program indicates that participation has directly affected patient care by systematically implementing quality improvements and meeting self-assessed gaps in clinical practice and medical knowledge. Since its inception as a pilot project funded with an IDEA Award, the Geriatric Scholars Program has expanded each year, offering new modalities to expand the training opportunities for VHA clinicians and enrolling new clinicians. The VHA’s Office of Rural Health envisions that America’s Veterans will thrive in rural communities. To foster this vision, ORH works to improve the health and well-being of rural Veterans by increasing their access to care and services. Geriatric Research Education and Clinical Centers (GRECCs) were developed and meant to attract scientists and health science students to the field of geriatrics in order to help increase the basic knowledge of aging, transmit this knowledge to health care providers, and improve the quality of care delivered to elders. The Veterans Health Administration is home to the United States’ largest integrated health care system consisting of 152 medical centers, nearly 1,400 community-based outpatient clinics, community living centers, Vet Centers and Domiciliaries. Together these health care facilities and the more than 53,000 independent licensed health care practitioners who work within them provide comprehensive care to more than 8.3 million* Veterans each year. My HealtheVet is VA’s online personal health record. It was designed for Veterans, active duty Servicemembers, their dependents and caregivers. My HealtheVet helps Veterans partner with their health care team. 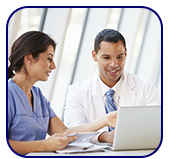 It provides the opportunities and tools to make informed decisions and manage health care. Dr. Judith L. Howe is Professor in the Brookdale Department of Geriatrics and Palliative Medicine and the Department of Preventive and Community Medicine, Icahn School of Medicine at Mount Sinai. She is also Associate Director/Education and Evaluation and Deputy Director, VISN 2 Geriatrics Research, Education and Clinical Center (GRECC) based at the James J. Peters VAMC. In addition, Dr. Howe is the Director of the Consortium of New York Geriatric Centers, and is Director of the VISN 2 GRECC Interprofessional Palliative Care Fellowship Program. Eugenia Dorisca is project coordinator of the VA Geriatric Scholars Program virtual learning community at the Bronx VA. She has a wealth of experience coordinating geriatric education programs at the Geriatric Research, Education, and Clinical Center, in addition to her role as the coordinator of the Consortium of NY Geriatric Education Centers (CNYGEC) and earlier in her career with the Alzheimer’s Association, NYC Chapter. 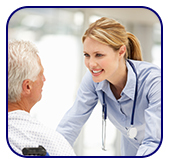 The contents of Geriatrics Scholars Community are developed by a panel of content experts in the field of geriatrics and gerontology. Course materials are reviewed periodically to ensure content is up to date with the most current evidence-based practices. Dr. Fernandez is a Professor and Director of the Geriatrics Fellowship Program at the Brookdale Department of Geriatrics and Palliative Medicine at the Icahn School of Medicine at Mount Sinai, NY. Her interests include faculty development, evidence-based medicine, learner assessment and medical education. She has presented on topics including geriatric models of care, career and curriculum development. 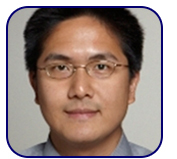 Dr. Hung is a geriatrician and physician investigator at the Geriatric Research Education and Clinical Center (GRECC) at the James J. Peters VA Medical Center and currently serves as the acting Associate Director of Clinical Programs at the GRECC. He is an Associate Professor of Geriatrics and Palliative Medicine at the Icahn School of Medicine at Mount Sinai, NY. His clinical interest lies in designing and evaluating geriatric models of care to improve care of older adults, including older adults living in rural areas. Dr. Hung is also Project Lead of GRECC Connect. 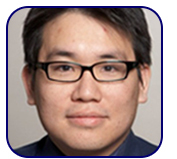 Dr. Ko is a geriatrician and Associate Professor in Geriatrics and Palliative Medicine at the Icahn School of Medicine at Mount Sinai and a Staff Physician at the GRECC, James J. Peters VAMC. Dr. Ko received his medical degree at the George Washington University, where he also completed residency training in Internal Medicine. He completed fellowship training in Geriatric Medicine at the John Hopkins School of Medicine. Dr. Ko also received master of science degrees in physiology from UCLA and in clinical research from the Graduate School of Biomedical Sciences at Icahn School of Medicine. His clinical and educational expertise focus on the management of geriatric syndromes in older adults across clinical settings. Dr. Andrade is Assistant Professor at the Brookdale Department of Geriatrics and Palliative Medicine, Icahn School of Medicine at Mount Sinai, and a GRECC Investigator at the Geriatrics Research Education and Clinical Center (GRECC) at the James J. Peters VA Medical Center. Dr. Andrade's current education and research work includes the study of digital human avatars in medical education, personal health records, and health literacy. Dr. Brody is Associate Professor at NYU and is an expert in home-based interprofessional care of seriously ill older adults . His program of research focuses on how to improve symptom assessment and management of dementia and other chronic conditions through interprofessional care in community based settings including home health and hospice. He also seeks to understand how effective interprofessional care in these settings effects quality of life, healthcare utilization, and healthcare costs. Dr. Brody is a current Robert Wood Johnson Foundation Nurse Faculty Scholar and a Cambia Healthcare Foundation Sojourns Scholar. His educational focus is on improving the quality of interprofessional geriatric and palliative care education. Dr. Brody is a Fellow of the Gerontological Society of America and Hospice and Palliative Nurses Association. John Knapp is an Adult-Gerontology Primary Care Nurse Practitioner, and is currently the Palliative Care Coordinator at the James J. Peters VA Medical Center, Bronx, NY. John is a graduate of the New York University College of Nursing, where he earned both his BSN and his MSN. Prior to working at the Bronx VA, he worked as a med-surg nurse at the NYU Langone Medical Center, and as a home hospice nurse for Calvary Hospital's Calvary@Home program. As a nurse practitioner, he has worked for MJHS doing home visits that combined both primary and palliative care. 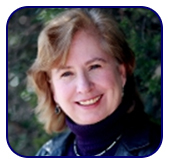 Dr. Ellen Olson is the Director of the VISN 2 GRECC Interprofessional Palliative Care Fellowship Program. Dr. Woodrell is an Assistant Professor in the Brookdale Department of Geriatrics and Palliative Medicine at the Icahn School of Medicine and Staff Physician at the Geriatric Research, Education and Clinical Center at the James J. Peters Veterans Affairs Medical Center in Bronx, NY. Dr. Woodrell is a clinical investigator whose work is dedicated to improving the care of seriously ill patients with liver disease and their families. His research goal is to create and implement palliative care programs tailored to the specific needs of people facing advanced liver disease and liver cancer.